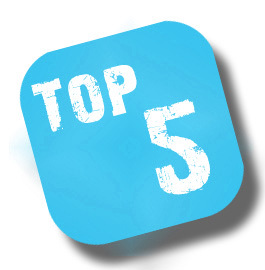 Today is the last day of the year 2011 and i was looking back to the stats and posts that viewed most on my blog at this year 2011, got much traffic from Google and Facebook. And that is what I've analyzed. If you found this blog useful share this with your friends. Reading on mobile phone or tablet is so much comfortable than reading on laptops or on personal computer. But all of you know that only high end devices support PDF or Microsoft word format. If you have one so you can download adobe reader from its official website and can read almost all books by converting it to PDF (Portable Document Format). But for rest of the devices that do not support pdf format it's quite difficult to read them, because all pdf readers other than adobe reader do not show the pdf file well. For SEO and better performance of your blog or website you have to analysis your website performance. Title bar is the area where title of webpage is displayed. In Internet Explorer this can be changed to your own string, whatever the webpage title is, it doesn’t matter. The format will be like webpage title then your string. By doing this you can promote your site, can give message to victim and can surprise to your friends. Watch this video to know how you can do this. In Opera mini version 4, 5, 6 by default there are four search engines added, these are Google, Dictionary.com, IMDb and Wikipedia. But these are not enough, adding more search engine, enhanced the functionality and gives the great customization. Disclaimer: This article is for educational purposes only. This site is no way responsible for any misuse of the information or/and any damage to you and done by you. I will treat you as you know using and purpose of keyloggers. keyloggers can be useful for both purpose, obtaining password or keystrokes from your computer and victim machine. But I always prefer run keyloggers on my machine, for victim machine there are other options available. Facebook page hosted by some group of facebook profiles or a single profile can host it. When you create facebook page, there should be a profile attached to that account to access full features. There is a feature of fb pages that you can show number of admin on your page sidebar. But some pages don’t show their admin. Go to your messages tab and click “Other” or “Other Messages” on the sidebar. In Windows operating system Microsoft provides the way to change the theme, but many users like me, also want to change other components of system like logon screen. In Windows XP it was little bit difficult to change the logon screen, but we could get great customization. In windows 7, officially we can change the logon screen just changing some registry entries, we don’t need to do reverse engineering. Many of you already know that Google added new feature to its image search engine but still I will explain here for those users who still aren’t using it. When we found some classic or unique images then we try to find out the source and the content of that image, for doing this, you need a reverse image search engine, you can find it on the internet but everyone’s favorite search engine is Google, so you can use Google image search in a reverse manner. 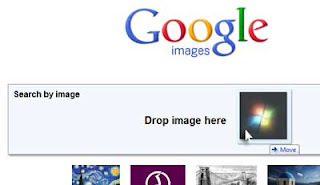 Select image, drag, and drop to Google image search bar. it will return some similar images and web pages that contain same image. If you are being sick of entering your password and user name each time you reboot or restart your windows seven. So you can disable this feature without deleting your password from your account. Then each time you start your PC it will automatically login to your account.